Anyone can develop a hernia, which is when an organ or body part pushes out through the muscle or fat that contains it. Because hernias don’t usually get better over time, surgery is usually recommended. 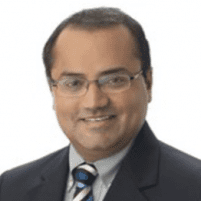 Ravikumar Brahmbhatt, MD, at RR Surgical Associates is a member of the Americas Hernia Society and is an expert at hernia repair. To schedule a consultation with Dr. Brahmbhatt, call the Edison or Jersey City, New Jersey, office or use the online booking button today. A hernia occurs when a portion of an organ, usually your intestines, pushes out through an opening in your muscle or fat. Most hernias occur in the abdominal area, which is Dr. Brahmbhatt’s area of expertise. However, some people can develop a hernia due to a congenital defect that causes a weakness in the muscles. Both men and women can develop an inguinal hernia, which is when part of your intestines or fatty tissue pokes through a weakened muscle in your groin above your thigh. Inguinal hernias are the most common. An umbilical hernia occurs at your belly button and can be your intestines or fatty tissue that pokes through your muscle. Like the inguinal hernia, a femoral hernia develops above the thigh. These types hernias are uncommon and usually develop in older women. A hiatal hernia is when part of your stomach pushes into your chest cavity through an opening in your diaphragm. No matter the location or type, Dr. Brahmbhatt can repair your hernia. You might notice a lump or bulge in your abdominal region that could indicate you have a hernia. Dr. Brahmbhatt must conduct an examination to determine if your bulge is, in fact, a hernia. Dr. Brahmbhatt prefers laparoscopic and robotic repair as it generally means a faster recovery and less risk. But the type of surgery necessary depends on the location of your hernia and your medical history. Based on your unique medical needs, Dr. Brahmbhatt will create a personalized surgical plan for you and review it with you so you know what to expect before, during, and after your procedure. For expert hernia repair, call RR Surgical Associates or schedule an appointment online today.